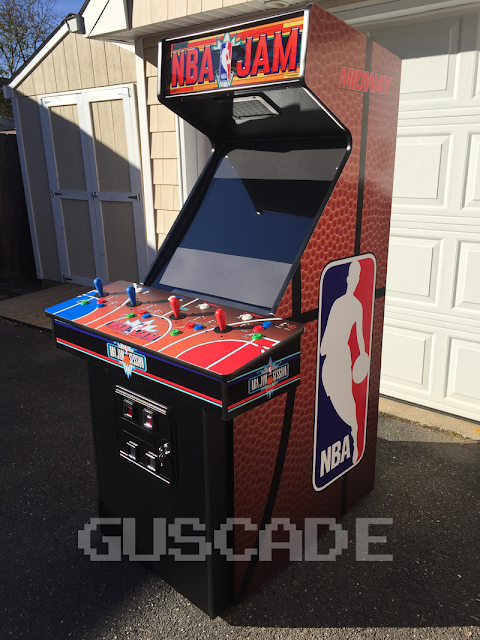 Guscade Celebrates Its 10 Year Anniversary ! Everyone's lovable favorite cartoon family The Simpsons. 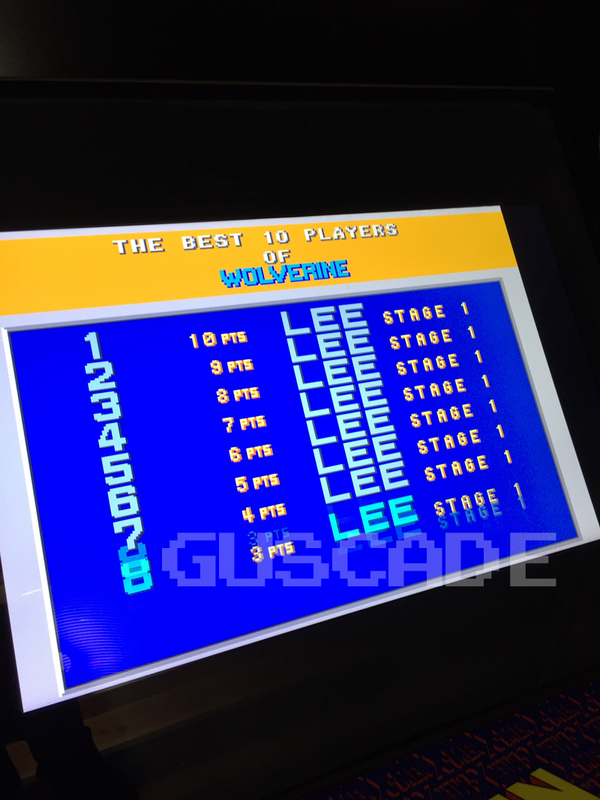 This is a really fun 4-Player multicade game packed with several other playable classics. We can set every game that we sell for on location for a single title or multiple games on one unit (typically for residential use). 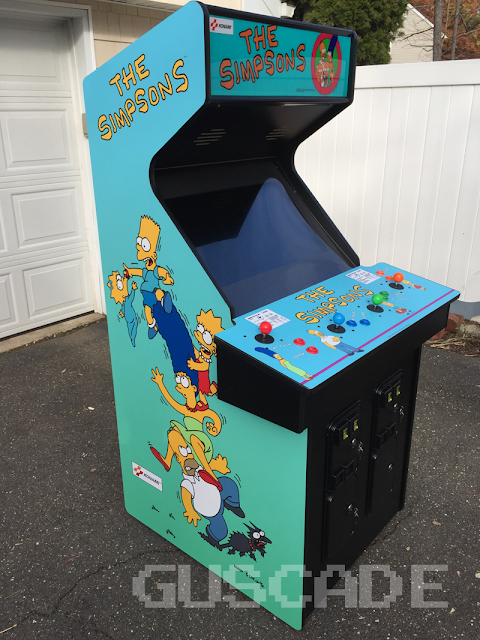 Play as any of the following characters: Marge, Homer, Bart & Lisa in this timeless classic. The next 4-Player title is yet another Konami classic X-Men. 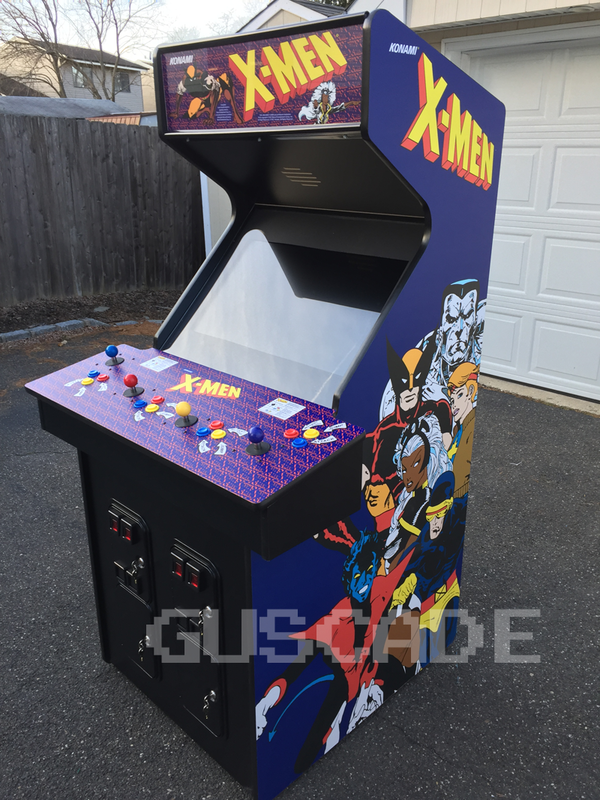 This cabinet which is a 3-button game allows you the choice to be one of six characters: Cyclops, Colossus, Wolverine, Storm, Nightcrawler, and Dazzler. (RIP Stan Lee). The high score table from the original game designers back in the 90's well before all of the Marvel movies came out paid homage to Stan by placing his name throughout the high score table. Not only are we celebrating our 10th anniversary this year... It's hard to believe that this year will also mark Galaxian's 40th Anniversary, but it's true! Originally Galaxian debuted in 1979. 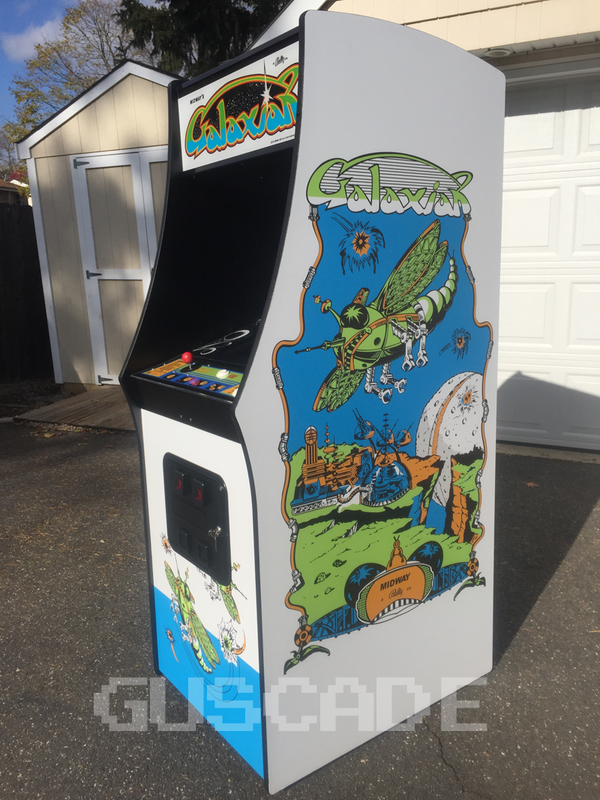 Galaxian cabinet adorns that classic pure white artwork cosmetics with those crazy looking alien space bugs. Galaxian also shares the same cabinet design as Pac-Man. Peter Pepper never looked so good. 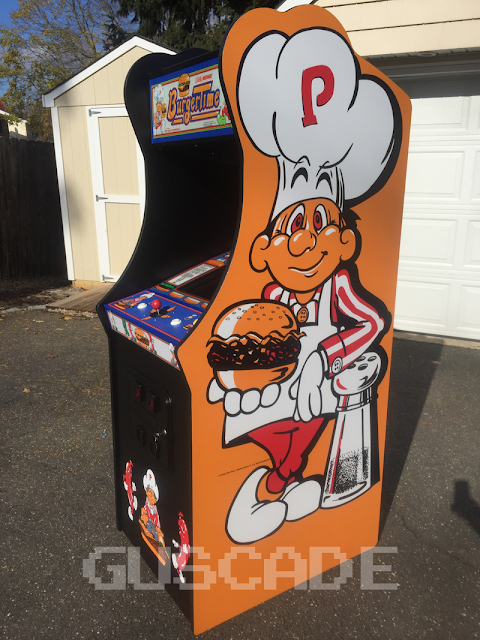 This title surely makes an amazing addition to any restaurant or burger joint. BurgerTime has that great chef cut out on the cabinet, it's such a brilliant design. This BurgerTime can also come stacked with not just lettuce & tomatoes but many other classics from the same era. "He's on Fire!"... "Is it the shoes?!". These catch phrases have been with us since NBA JAM was introduced in 1993. NBA JAM is yet another incredibly popular 4-Player cabinet which is also JAM packed with many classics on this build including NBA JAM Tournament Edition. 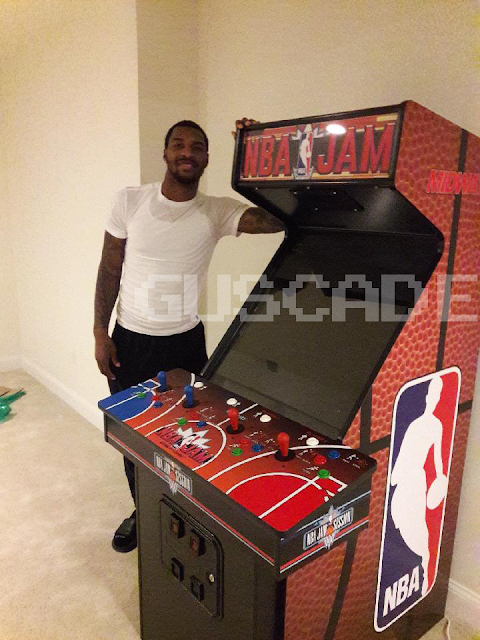 We had the pleasure of providing active NBA player of the Chicago Bulls Sean Kilpatrick with one of our Guscade NBA Jam machines. "The nail in the coffin!" When most people think of "Q" they might think James Bond, they perhaps might think Impractical Jokers (Brian Quinn). The most famous video game Q of all time... @!#?@! 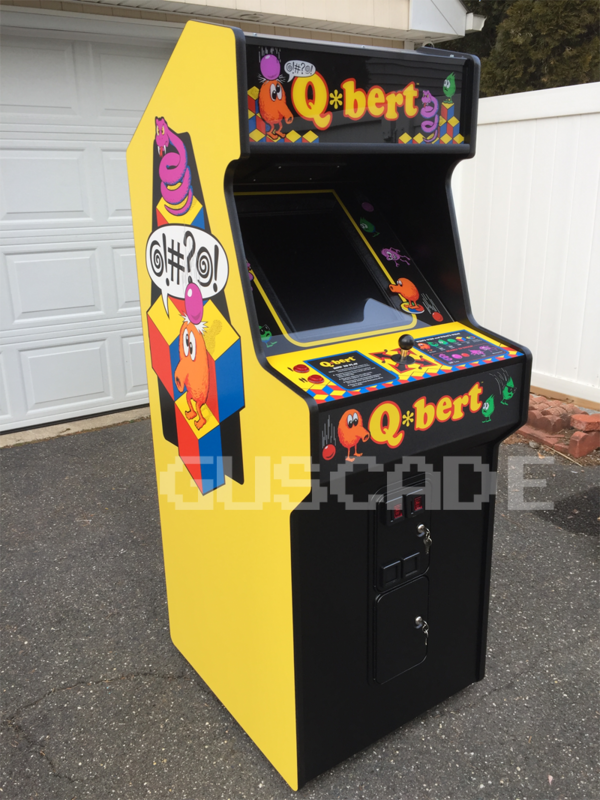 Q*Bert! The sequel to one of the hardest arcade games of all time Capcom haunts us yet again. 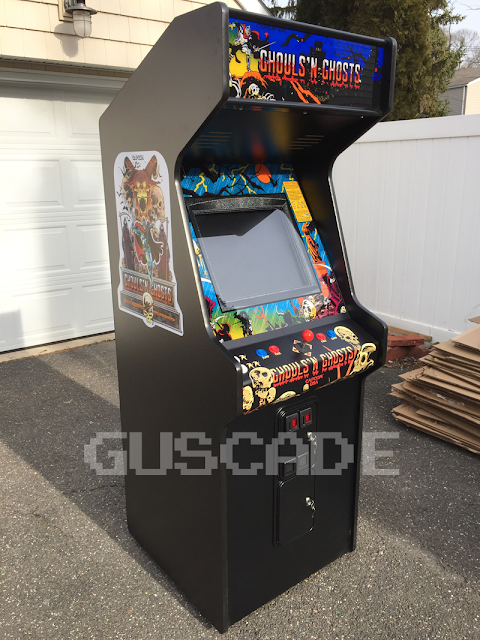 1989 Ghouls N' Ghosts this time just as hard only improved graphics with other added game elements. It's never too early to think about adding this to your Halloween wish list. Stay tuned as we will continue to celebrate our 10th anniversary throughout the year adding many other enhanced new classic games into inventory. Again should you have any general arcade related questions or a requested game please use the contact form on the top right of the site. We appreciate all of the support!